Watching over them is the resort’s director, a woman on a mission to reinvigorate their tired minds and bodies. I have sold hundreds of Liane Moriarty books in my time at Readings, but I hadn’t read one myself until a friend suggested I read Truly, Madly, Guilty. I was instantly hooked! Like all Moriarty fans, I was very excited at the prospect of a new novel coming out. In Nine Perfect Strangers, Moriarty has strayed slightly from her usual suburban setting. This time the action takes place in Tranquillum House, a health and wellness resort in rural New South Wales. Nine people sign up for a ten-day retreat, all for different reasons, but all hoping their lives will be transformed. Frances, an author of romance novels, is trying to get over an internet romance scam and a bad review of her most recent book. Ben and Jessica want to save their marriage. The Marconis are struggling to come to terms with a family tragedy. Then there’s Tony, a former football hero and divorcee, who needs to find a purpose in life. Carmel, also recently divorced, lacks self-esteem and is desperate to lose weight. Finally, there’s Lars, a health resort junkie, who feels his relationship is on the brink of collapse. Enter Masha, Tranquillum House’s director. Formerly a high-flyer in the corporate world, Masha reinvented herself after suffering a near-death experience. Her mission is to transform her guests’ lives, just as she once transformed her own. The retreat begins innocently enough, with the usual massages, meditation and yoga, but it is not long before the guests get more than they bargained for. 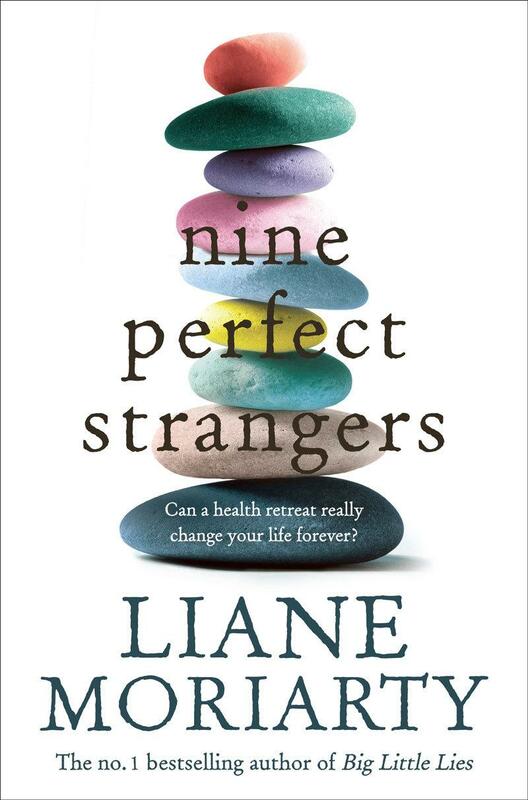 Nine Perfect Strangers is Liane Moriarty’s eighth novel. Once again she has created a thoroughly enjoyable page-turner, with a plot full of unexpected twists and turns. Her characters are larger than life, but ones to which we can all relate. Moriarty fans are definitely in for a treat! Sharon Peterson is the shop manager at Readings St Kilda.